Who gains and who loses from economic transformation in Eastern Europe is a key question, but one which is too rarely discussed. 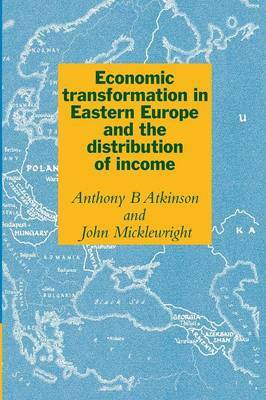 This book, first published in 1992, examines the evidence about distribution of income under Communism in Eastern Europe. Contrary to popular impressions, a great deal of information exists about distribution of income and household earnings in Czechoslovakia, Hungary and Poland. With glasnost much material previously kept secret in the USSR has been made available. The book contains extensive statistical evidence that had not previously been assembled on a comparative basis, and brings the story right up to the end of Communism. The findings bring out the differences in experience between countries under Communism: between Central Europe and the former Union; between Czechoslovakia, Hungary and Poland; and between the newly independent states of the former Soviet Union.